While waiting for the reopening of the Van Gogh Museum, whose works are currently hosted by Amsterdam Hermitage waiting for the renovation of the original site, there is also an ‘other place where you can admire the works of the Dutch painter. 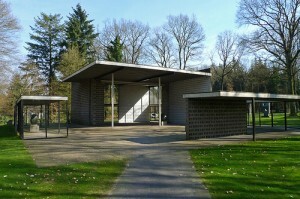 This is the Kroller-Muller Museum, opened in 1938 in the Hoge Veluwe National Park. Among the well 11,500 art objects hosted by the Kroller-Muller Museum, there is, in fact, the private collection of works by Van Gogh largest in the world after that of the Van Gogh Family. Another main attraction of the museum is the sculpture garden, which has become one of the largest in Europe. In the Hoge Veluwe National Park sculptures, garden and park merge to become a unique beauty to admire. The museum is open all year round from 10 to 17, but to visit the garden and the park it is better to plan visit in the spring or summer. Even in the winter, however, the structure offers the initiatives for the entertainment of the audience of adults and children.